Faux alternative media figure peddles Neo-Con agenda, sits on advisory groups with PNAC signatories. October 20, 2012 - Joseph Farah and his World Net Daily (WND) project attempts to fill a niche, straddling the alternative media, and feeding inquiring minds back into servitude toward the greater corporate-financier agenda. He represents a retrenchment of the right - of the false left-right political paradigm - alongside other disingenuous media personalities like Glenn Beck, and on the left led by the forces of convicted criminal George Soros. Farah's propaganda attempts to parrot alternative media memes while reasserting essential talking-points those who have departed traditional left-right camps have left behind. 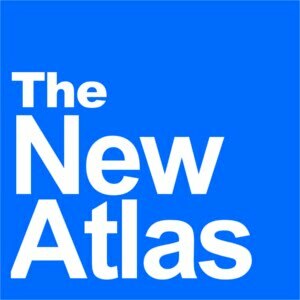 Among these talking points include, the need to continue carrying out Neo-Conservative wars of aggression, particularly against Iran, backing candidates in elections under the gimmick, "the lesser of two evils," and the reintroduction of many other left-right political footballs generally no longer distracting an increasingly awakened public. In essence, Farah and WND are the right-wing of Cass Sunstein's cognitive infiltration - a policy described in Sunstein's paper, "Conspiracy Theories," as the cognitive infiltration of extremist groups," aiming to "introduce informational diversity into such groups." 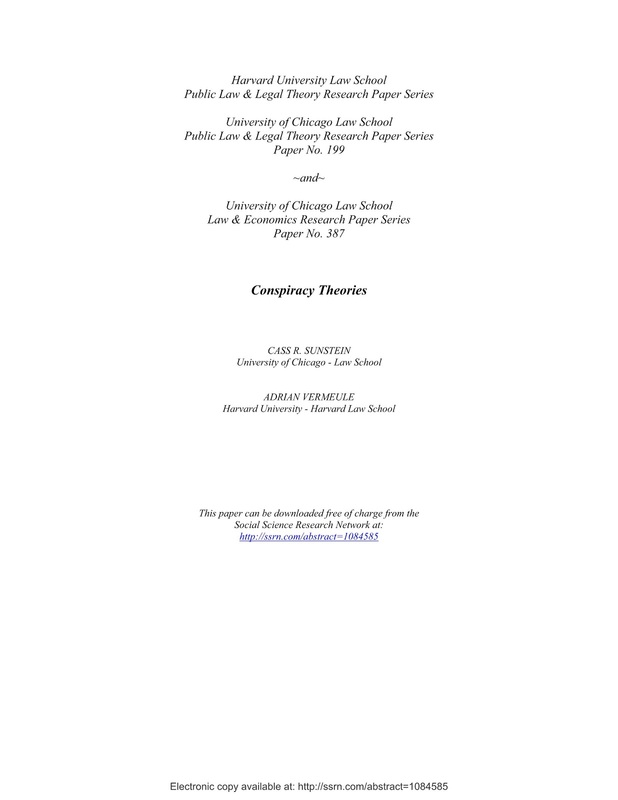 Image: The cover of Cass Sunstein's "Conspiracy Theories" paper, which details strategies for overcoming opposing views that contradict establishment talking points. Amongst these strategies includes hiring people to actively infiltrate segments of society that hold alternative views and introduce "informational diversity" to lure them back into mainstream paradigms. Because Sunstein was Administrator of the Office of Information and Regulatory Affairs under the Obama administration, many mistakenly believe his strategies are only meant to be applied from the "left." They are indeed applied from the "right" as well, and leading these efforts, among others, are Joseph Farah of WND, and Glenn Beck. This is precisely what Farah and his WND are doing, posturing themselves in the fashion of alternative media, while selling talking-points quite literally pulled from the papers, policies, and speeches given by prominent Neo-Conservatives and non-partisan corporate-financier funded and driven policy think-tanks. Joseph Farah himself is directly involved with this political clique, having served upon the US Committee for a Free Lebanon, created specifically to array foreign-backed opposition against the governments of Syria and Iran, as well as Hezbollah and its supporters in Lebanon, all slated for removal by corporate-financier interests, according to US Army General Wesley Clark. "Both the Syrian and Lebanese regimes will be changed- whether they like it or not- whether it’s going to be a military coup or something else… and we are working on it. We know already exactly who’s going to be the replacements. We’re working on it with the Bush administration." "These guys who came to power, who rule by power, can only be removed by power. This is Machiavelli’s power game. That’s how it is. This is how geopolitics — the war games, power games — work. I know inside out how it works, because I come from a family of politicians for the last 60 years. Look, I have access to the top classified information from the CIA from all over the world. They call me, I advise them. I know exactly what’s going on. And this will happen." 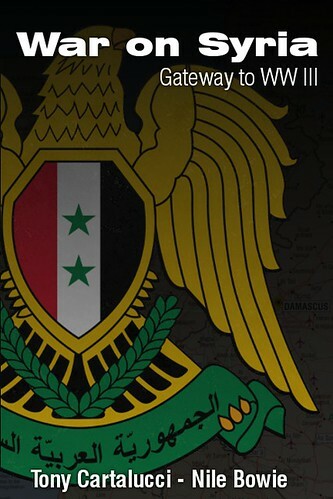 "This Bashar Al Assad-Emil Lahoud regime is going to go whether it’s true or not. When we went to Iraq whether there were weapons of mass destruction or not, the key is — we won. And Saddam is out! Whatever we want, will happen. Iran? We will not let Iran become a nuclear power. We’ll find a way, we’ll find an excuse- to get rid of Iran. And I don’t care what the excuse is. There is no room for rogue states in the world. Whether we lie about it, or invent something, or we don’t… I don’t care. The end justifies the means. What’s right? Might is right, might is right. That’s it. Might is right." "So Saddam wanted to prove to the whole world he was strong? Well, we’re stronger- he’s out! He’s finished. And Iran’s going to be finished and every single Arab regime that’s like this will be finished. Because there is no room for us capitalists and multinationalists in the world to operate with regimes like this. Its all about money. And power. And wealth… and democracy has to be spread around the world. Those who want to espouse globalization are going to make a lot of money, be happy, their families will be happy. And those who aren’t going to play this game are going to be crushed, whether they like it or not!" Joining Joseph Farah and Ziad Abdel Nour on the International Advisory Board of this committee were Morris Amitay of the Jewish Institute for National Security Affairs (JINSA), Michael Rubin of the American Enterprise Institute (AEI), and PNAC signatories Paula Dobriansky (now foreign policy adviser to Mitt Romney), James Woolsey, Frank Gaffney, and Daniel Pipes. There was also Oliveier Guitta, Michael Ledeen, and Clifford May, all of the Foundation for the Defense of Democracies (FDD), who were amongst the most vocal supporters of the military intervention in Libya and currently advocate a similar military intervention aimed at Syria, all made possible by groundwork laid by the US Lebanese Committee for a Free Lebanon. This bankers association also included the U.S.-Saudi Arabian Business Council, which in turn includes the interests of Bechtel, Chevron, Citi (again), Dow, Exxon, GE, Honeywell, Lockheed Martin, Morgan Stanley (again), Raytheon, Northrop Grumman, and many more. There was also Daniel Nassif of the US State Department propaganda front Al Hurra, James Phillips of the Heritage Foundation, Jonathan Schanzer who was director of policy at the Jewish Policy Center, and multiple members of the Washington Institute for Near East Policy. Clearly Mr. Farah of World Net Daily was involved in a contact group consisting of the US-Israeli-Saudi interests that were on record conspiring to provoke a region-wide sectarian war with which to destabilize, overthrow, and replace the governments of Lebanon, Syria, and Iran, as documented by Seymour Hersh in his 2007 New Yorker article, "The Redirection" which was covered in depth in, "Syrian War: The Prequel. The committee Farah served on, and the pro-war agenda he pursues is still concurrently pursued by the very same corporate-financier interests listed above, reflected in the funding of think-tanks like the Brookings Institution which has produced documents such as, "Which Path to Persia?" and "Middle East Memo #21." Farah, as insidious as his affiliations are, and the agenda he is demonstrably helping to promote, adds an extra degree of duplicity to his work by posing as "outside" the establishment in order to inject corporate-financier driven talking points as "informational diversity" into the alternative media. That Farah sat on an advisory board representing a consortium to which Mitt Romney's Bain Capital belonged, begs closer scrutiny of Farah's attempts to circumvent the alternative media's awareness of the false left-right paradigm, claiming listeners and readers should "vote for the lesser of two evils," the lesser, he claims, is Mitt Romney. In reality, current US President Barack Obama has done precisely his part in executing the overall agenda to rearrange the Middle East, and regardless of whether he or Romney makes it into office in 2012, the script will be written accordingly, and the agenda will continue forward. By introducing his "lesser of two evils" talking point, he can redirect those who have made it outside the gates, back into the political corrals safely away from pursuing or developing third party alternatives. Farah's WND also regularly makes use of Neo-Con cartoon creation "Reza Kahlil," allegedly a pseudonym for a former CIA operative in Iran’s Revolutionary Guard. Reza Kahlil regularly promotes Western propaganda depicting Iran as a dangerous theocratic nation seeking global hegemony. Reza Kahlil regularly appears in various Neo-Con produced war propaganda films such as Iranium. The film was produced by the "Clarion Fund," whose board of advisers features Frank Gaffney and Daniel Pipes (both of whom sat with Joseph Farah on the US Committee for a Free Lebanon, as did James Woolsey who appeared in Iranium as an "expert"), John Bolton (PNAC, CFR), Clare Lopez (Senior fellow of Frank Gaffney's Center for Security Policy), Harold Rhode (Hudson Institute), and retired General Paul Vallely (Fox News senior military analyst). Video: An except from the cartoonish Neo-Con war propaganda film, "Iranium." Here we have WND contributor, and CIA agent "Reza Kahlili" inadvertently explaining to us why we should never believe a word he says. Kahili's articles for WND include, "Iran: Our nukes proof of Islamic power," and "Iran: Discovery will collapse Christianity," all designed to instill fear across well-intentioned, but susceptible conservative readers who may be unaware that the very propagandists peddling these stories have conspired for years against Iran, admitting in their own think-tank documents, like Brookings Institution's "Which Path to Persia?" that Iran poses no threat to the world, but only to Western hegemonic aspirations throughout the Middle East. In fact, it is these very people who are on record, supporting listed terrorist organizations with the blood of Americans on their hands - organizations like Mujahideen-e-Khalq (MEK). Farah's cognitive infiltration will undoubtedly draw audiences in from across the alternative media. But on a much larger scale, he and others like Glenn Beck, prevent perhaps millions from making the final step over to genuine alternative media sources and real solutions, outside the controlled paradigms of Wall Street and London. His game is an insidious one, one that he is well aware he is playing, and made deceptively more difficult for people to spot, as he approaches from the "right" while Cass Sunstein's stratagems have been branded as "left." His feigned dislike for US Presidential candidate Mitt Romney, when Farah himself associates directly with, and peddles the talking points of, those writing his policy for him, is indicative that he is intentionally deceiving readers, viewers, and listeners as he burrows deeper into the alternative media.